Murray and I haven't had many vacations since we got married, in fact, none (not counting our honeymoon at Disneyworld and the more recent trip to Toronto). We wanted something relaxing, luxurious, pretty and entertaining. 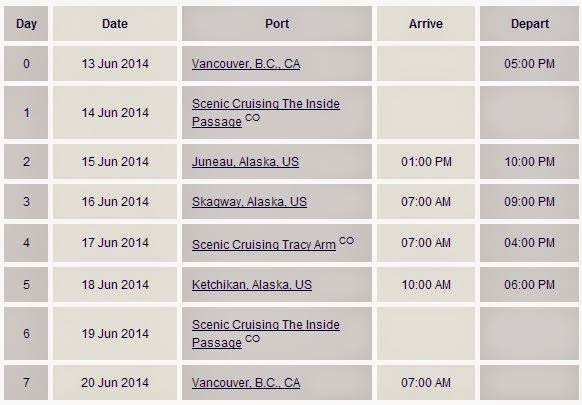 At first we thought about going to Disneyland, but lately their prices have gone through the roof - and then it suddenly dawned on us: a cruise to Alaska! 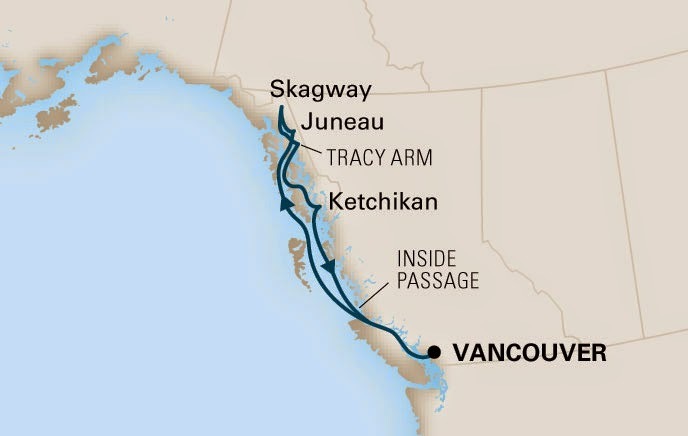 We'll be sailing from Vancouver to Juneau, Skagway and Ketchikan in Alaska, to arrive back in Vancouver again 7 days later. 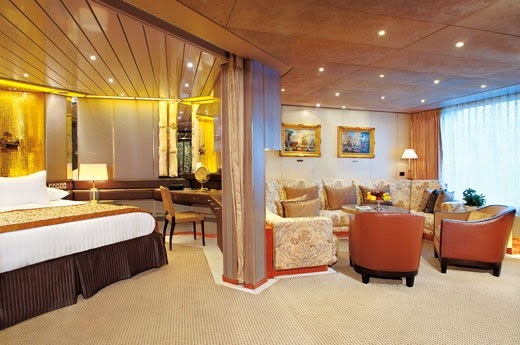 Don't ask how we did it, but we managed to book the one and only penthouse suite on the ship! We figured we are going to be spoiled ROTTEN! Honestly, this suite is almost as large as our entire house... According to HAL's website it's got a bedroom with a king-size bed, oversize whirlpool bath and shower, living room, dining room, dressing room, private verandah, pantry, sofa bed for 2 persons, mini-bar, refrigerator, guest toilet, floor-to-ceiling windows. Approximately 1,296 sq. ft. including verandah... and all this just for the two of us! We decided to leave the day before and stay overnight in Vancouver. Since this is my first cruise ever, I am ever so excited! Bags packed, cameras charged and the cats boarded to enjoy their private vacation at our trusted Kozy Cat Kennel, we are ready to go!